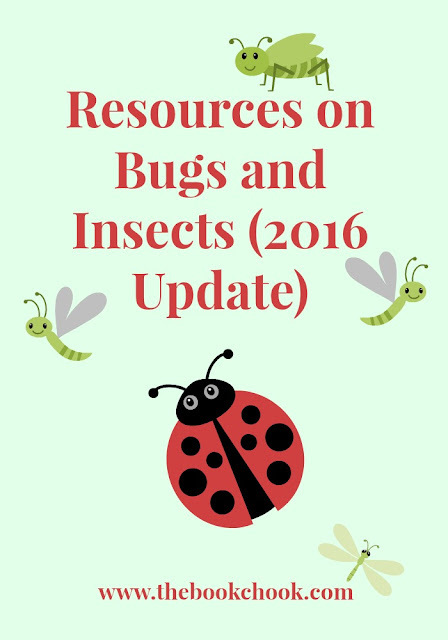 I realised recently that many of the resources I mentioned in my 2013 post, Resources on Bugs and Insects, were no longer available at the links I included. I’ve gone right through that post and updated it here, as well as adding some new resources. CSIRO What Bug is That? Search by category for BBC videos about insects. The Montreal Insectarium is a wonderful Canadian museum. The website has excellent resources, including a feature called Find an Insect, and complementary activities to a visit that could still be useful to those not able to visit physically. You can also still view their insectarium collections online. The Audubon Butterfly Garden and Insectarium is North America’s largest museum devoted to insects and their relatives. It has an ant cam and a cockroach cam, as well as pictures and facts about insects and other animals. National Geographic still has lots of articles and videos about bugs. Scholastic’s Going Buggy - Fun activities that introduce your students to the world of insects and bugs. NEOK12 has insect videos and lessons, as well as quizzes and other activities. Wildlife Fun 4 Kids is now called Mother Natured, but still has this easy but productive activity, Lay a Sheet and Shake a Tree. Try searching for bug activities and you’ll find lots more! Jennifer Argus uses bugs in her art work. What do kids think of this idea? Fun Youtube song kids can learn about Bugs and Beetles. * Create your own insect! Make sure you include a head, a thorax, and an abdomen plus any other body parts you think an insect needs. Let your imagination go wild and make a while family of insects. You could consider sculpting from play-do or clay, drawing, or any other way you think up. * Study some videos about bugs and insects. Can you move like they do? Create a dance that uses some insect movements in it. * Some people like to eat insects. Don’t try this yourself unless Mum and Dad say it's okay, especially if you have food allergies. Design a menu for your restaurant that serves only dishes with insects in them. Here are some pictures of snacks to get you started. * Some scientists estimate there are 6 million species of insects on our planet. What is your favourite species? * Choose an insect to explore in depth. Write an information report about your insect. Try not to put your reader to sleep! Choose some fascinating facts that will interest us. * Pack your camera and go on an insect hunt. * Can you use things you discover from nature to create pictures of bugs and insects? * Organise a Wildlife Photographer of the Year competition at your school. * If you were an insect, which one would you be? Tell us a little about a day in your life. * How many kinds of bugs and insects can you draw? Here's a helpful tutorial from The Guardian UK. * Make an alphabetical list of insects, and illustrate it. * Learn to draw a cartoon ladybug. * Ask an adult to help you make some cookies with a bug look by pressing plastic bugs into the cookie dough. More via Martha Stewart.